Jakarta's most notable conference and meeting venue, offering elegant indoor and outdoor spaces with a garden. Our conference and meeting packages can be tailored to suit the size and needs of your gathering. Our team offers a responsive and seamless service, as well as the insight and global know-how to make every meeting or event a success. Please ask about special activities that can be designed to inspire your attendees to connect with their surroundings and with each other. 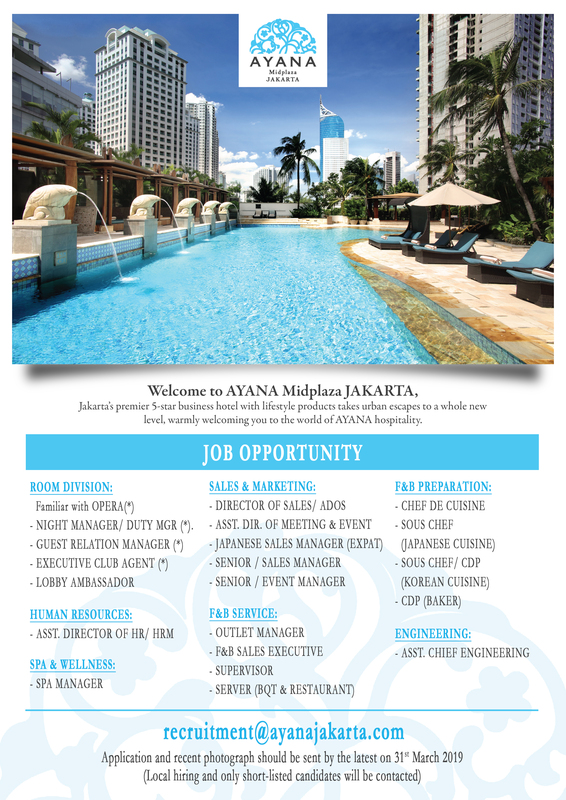 AYANA’s hospitality philosophy recognizes that just like ‘no two people are alike’, ‘no two events are alike’. We work with a creative team of chefs, party organizers, decorators, musicians and media specialists to ensure that every event, no matter how big or small, creates lasting memories and fulfills your personal vision beyond expectation. Choose from Jakarta’s most exciting range of private event venues. Private event clients have access to four signature restaurants; Rasa; Scusa; JimBARan Outdoor Lounge; and Bacchus Bar, as well as a stellar international team of culinary artists, mixologists, pastry chefs and sommeliers. Customized menu options range from healthy in-session snacks and local Indonesian coffee breaks, to inspiring multi-day lunch plans and gourmet dinners specializing in cosmopolitan and authentic regional cuisine.